Guildburys have been performing open air in Surrey for more than 25 years and were delighted to be asked to perform their flagship summer show in the grounds of Haslemere Museum for the first time in August 2014. Macbeth was a wonderful opener and enthusiastic audiences flocked to see Shakespeare’s most performed play. 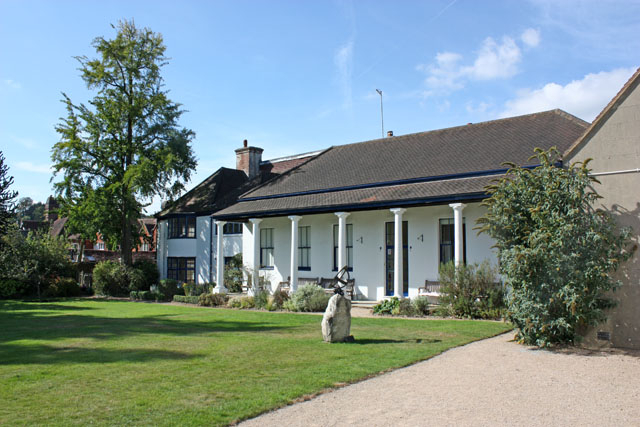 The grounds of the museum provide an intimate open air experience for our audiences with convenient parking and easy access enabling them to thoroughly enjoy Guildburys’ unique blend of PicnicTheatre. An aerial view of the stage at Haslemere Museum – click on the arrow below !